A woman has been charged in connection with a Delaware fire that claimed the lives of two firefighters, Michael Chionchio, assistant state fire marshal, confirmed Thursday. Beatriz Fana-Ruiz, 27, has been charged with first-degree murder, first-degree arson, second-degree assault and reckless endangerment, according to Chionchio. Fana-Ruiz lived in 1927 Lakeview Road where the fire occurred. Chionchio did not comment further but said a press conference would be held where more details will be shared. Neither a time nor date has yet been released for the future press conference. 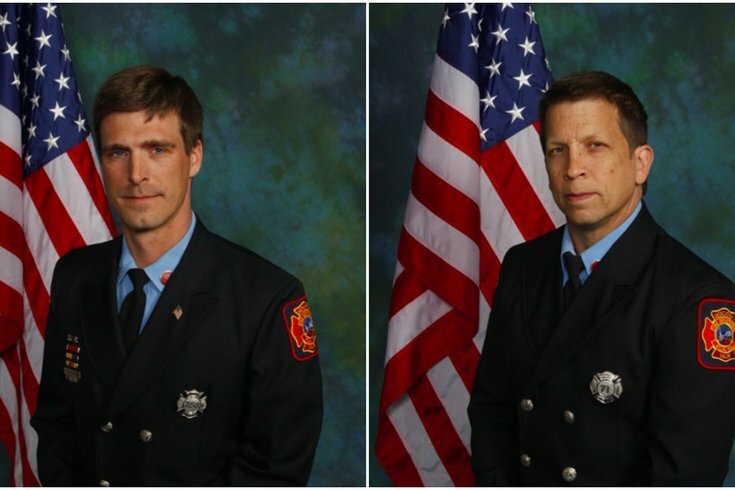 The blaze killed Lt. Christopher Leach and Senior Firefighter Jerry Fickes and injured firefighters Ardythe Hope and Brad Speakman. The injured firefighters remain hospitalized. The Newcastle County Uniformed Firefighters IAFF Local 4417 shared a Facebook post that said Hope has been upgraded to stable but critical condition while Speakman "continues to improve every day." The update from the Delaware Fire Marshal's Office comes on the same day as Leach and Fickes' funeral services, which extend until Friday. Thursday's service will be held at Grace Lutheran Church in New Castle County. Each firefighter is survived by two children ranging between the ages of 12 and 18. A GoFundMe page has been created to help support the firefighters' families. In the past three days, more than $64,000 has been raised -- the campaign's goal is $75,000.